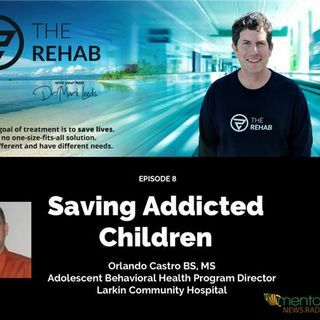 For over twenty-two years Orlando Castro has dedicated his life to helping future generations as he serves as a mental health therapist, family counselor and Director of the Adolescent Unit at Larkin Hospital. He prides himself with serving families who are being destroyed by children who are mentally ill or have developed drug and alcohol addictions. His passion for this special group of children has grown out of his desire to give back to the community by dedicating himself to helping those ... See More who are unable to help themselves. He uses his personal journey as a testament to these children that in life you can get a second chance to turn your life around and that their own will and determination are their only limits to achieving success. As a Mental Health specialist, he focused on helping those individuals who had developed substance abuse overcome their illness. Over the course of his 20+ years he dedicated himself to serving the families who were being destroyed by children who were mentally ill or had developed addictions. His passion for this special group of children grew out of his need to give back to the community. Orlando embraces all that life has to offer and dedicates his life to helping future generations as he serves as a mental health therapist, family counselor and Director of the Adolescent Unit at Larkin Hospital.